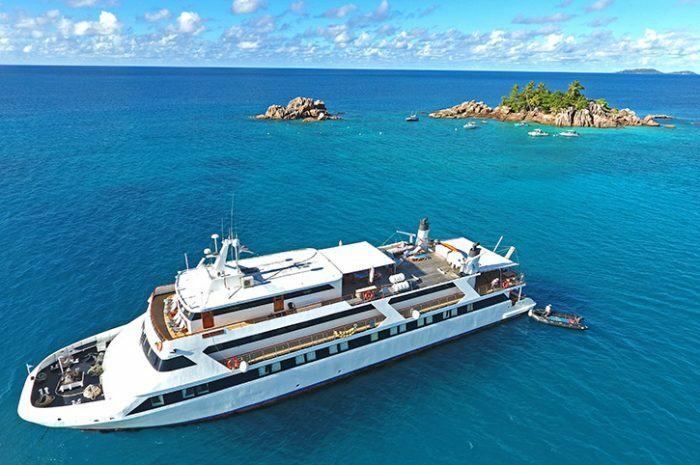 After the welcome cocktail, leave Port Victoria and sail to nearby St. Anne for a refreshing swim stop off the ship. Tonight anchor near St. Anne and enjoy a welcome dinner. The MY Pegasus has just 21 cabins on board, all outward facing with large windows, air conditioning and en suite shower rooms. Enjoy magnificent sea views on the open decks, relax with friends in the lounge, browse the well-stocked library or enjoy ocean view dining in the spacious restaurant. 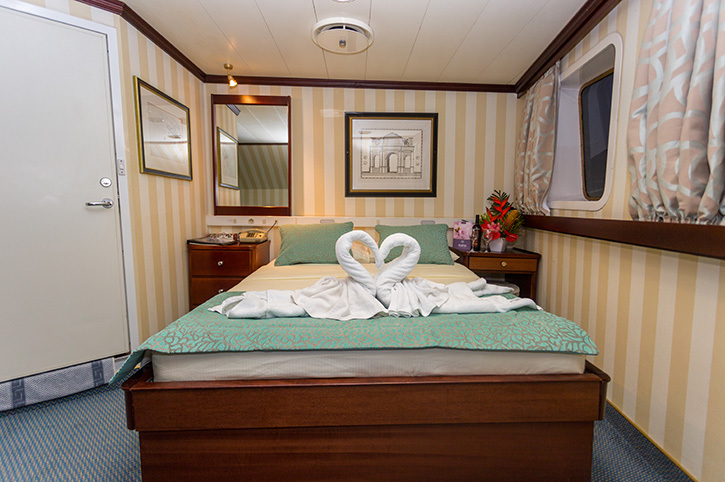 A platform on the stern enables guests to swim and there is also a zen mini-spa. Today leave St. Anne island and sail to Curieuse. This uninhabited island was once the location of a colonial hospital and now home to giant tortoises. An excursion takes in a working farm and a guided walk through the mangrove forests, before a beach BBQ under the trees. Later you can enjoy relaxing on the beach or a variety of water activities. 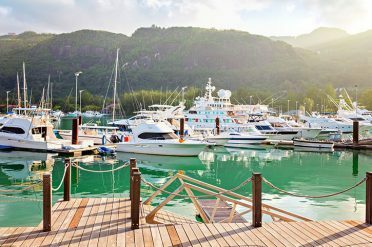 In the morning sail for Cousin island where there is an excursion to the bird sanctuary, an important breeding site for over a quarter of a million land and see birds including unique species such as Brush Warblers and Seychelles Fody. The island is also an important nesting site for Hawksbill Turtles. 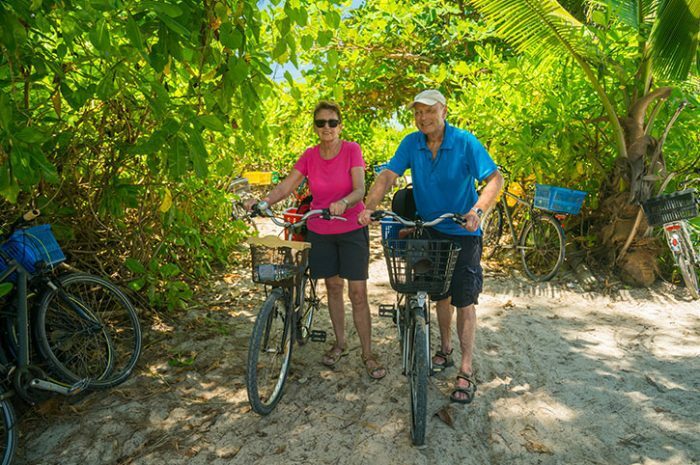 Later in the afternoon cruise to Anse Lazio on the island of Praslin, one of the most beautiful beaches in the world. There is time for water sports, snorkelling or optional diving. In the morning leave for Aride where the excursion will take you all the way to the top of the island for a panoramic view. 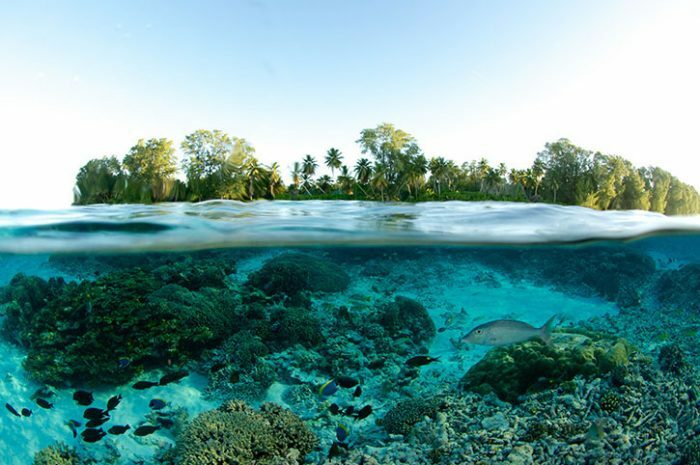 The island is home to the Wright’s gardenia tree found nowhere else on earth and to bird species like the Audubon’s shearwater, the Seychelles warbler. At noon sail for St. Pierre island for lunch with time after for snorkelling and swimming. At sunset leave St. Pierre and sail into Baie St. Anne, Praslin. This evening enjoy a Creole themed night with local cuisine and entertainment. 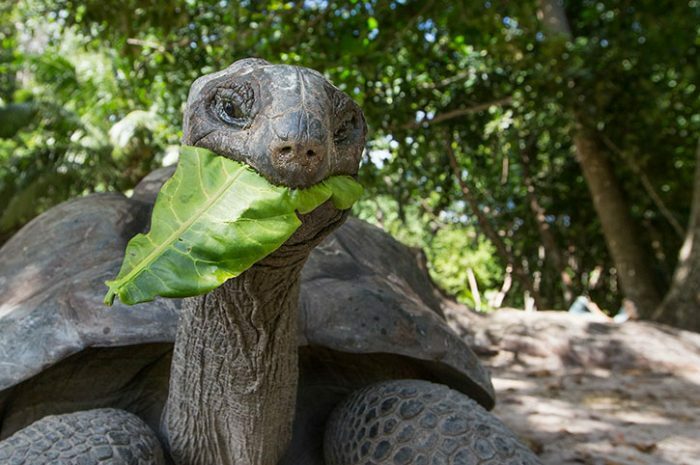 Explore Praslin with an optional excursion to the famous Vallee de Mai Reserve, a World Heritage site. 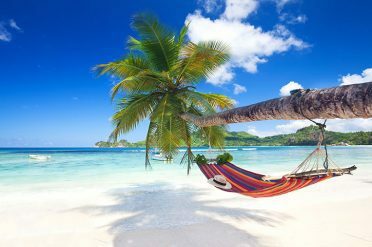 Stroll amongst the tall palm trees with their cathedral like fronds which produce the famous Coco de Mer double lobed nut. You may also see the black parrot found only in Praslin. 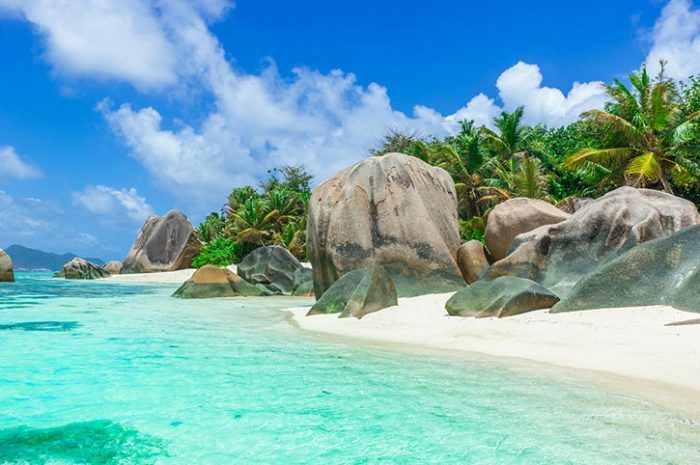 This afternoon sail to the uninhabited island of Felicite for swimming, snorkelling or an optional diving excursion, before sailing to the overnight anchorage at La Digue. Experience the delights of La Digue, one of the most photographed and quaint communities in the Seychelles with an optional half day ox-cart tour. Visit the Veuve Nature Reserve, followed by the Union Plantation for a tour of the copra kiln, coconut oil mill and the colonial plantation house. Finish at Anse Source d’ Argent beach, one of the most magnificent beaches in the world with its impressive rock formations. There is time to browse for souvenirs at La Passe, the island’s main village, before returning to the ship. Later this afternoon sail for Moyenne island, opposite Mahe. There will be a short tour around the island with time for swimming before a beach BBQ. 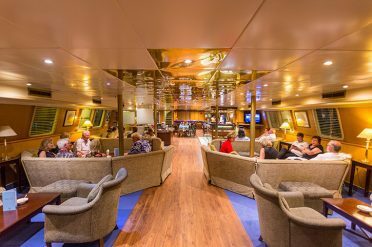 Leave for Mahe’s Victoria Port, arriving in time for the Captain’s farewell dinner with live music and dancing and your final night onboard. Today bid farewell to your new friends and disembark the boat. 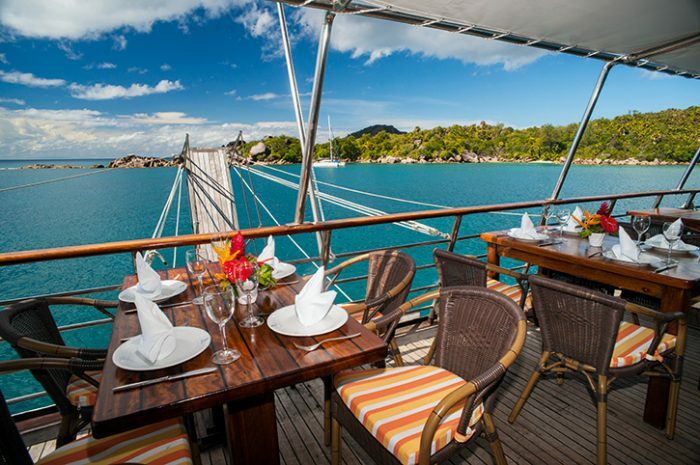 4 day cruise from Praslin to Mahe (Wednesday departure) – from £985. 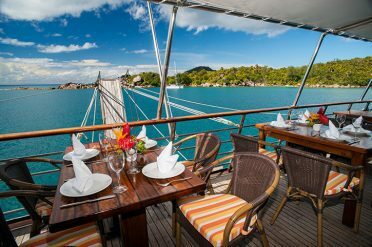 5 day cruise Mahe to Praslin – from £1457. Also, speak to your Destination Expert about our cabin upgrade options. Cruise departs 4-5 times a month on Saturdays except in January and December. Valle De Mai and La Digue excursions can be booked and paid for locally. 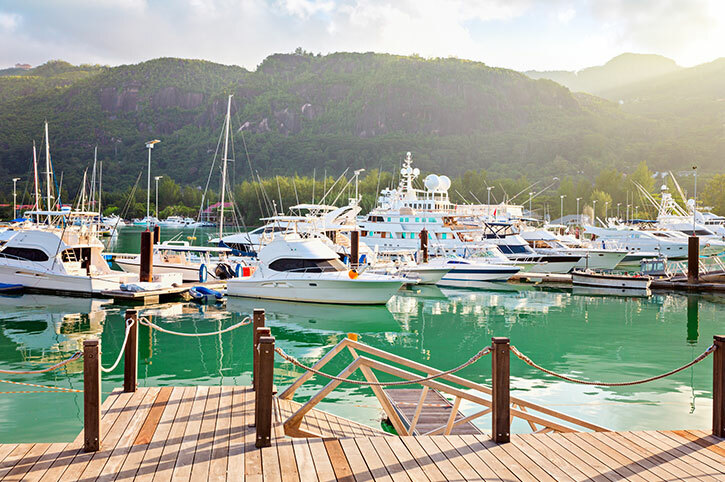 Explore multiple islands around the Seychelles from the comfort of a private en suite cabin. 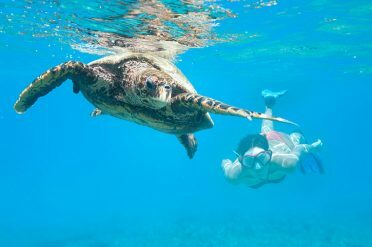 Enjoy snorkelling time, off boat excursions and superb dining.